Marriages are made in … Indian Consulate! Dubai: The bride was not in a flowing gown. The groom didn’t wear a blazer. There were no bells or bouquets, or anything that is typically associated with a Christian wedding except the rings exchanged by the couple. 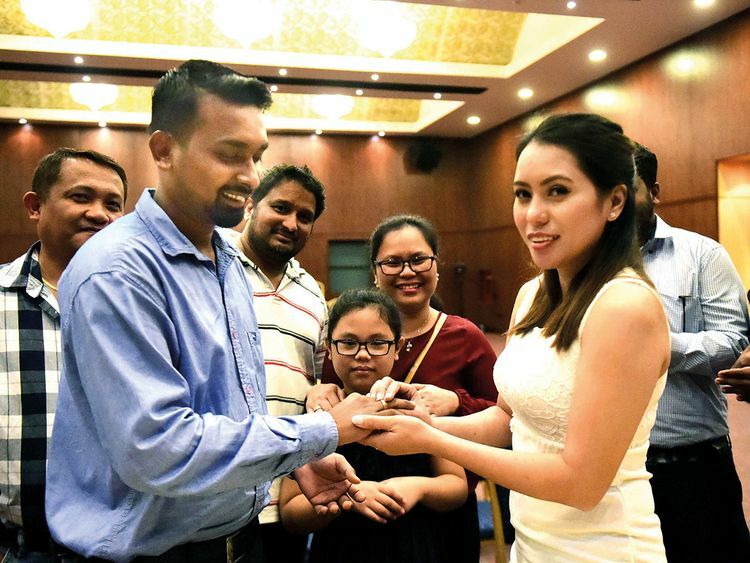 That was because Indian expat Desmond Donald Coelho and his Filipina bride Pacita Olita Felicilda found the fruition of six years of their courtship at a very unlikely wedding venue — the Indian Consulate in Dubai. They are among 235 couples, whose marriages may have been made in heaven, but took place at the mission in 2018. It has been a long, long, long time that I have been waiting for this. I am just thankful. The number of couples marrying at the consulate has been increasing with 203 registrations in 2016 and 219 in 2017. Many of them were cross-border couples or Indians belonging to different states and different religions. 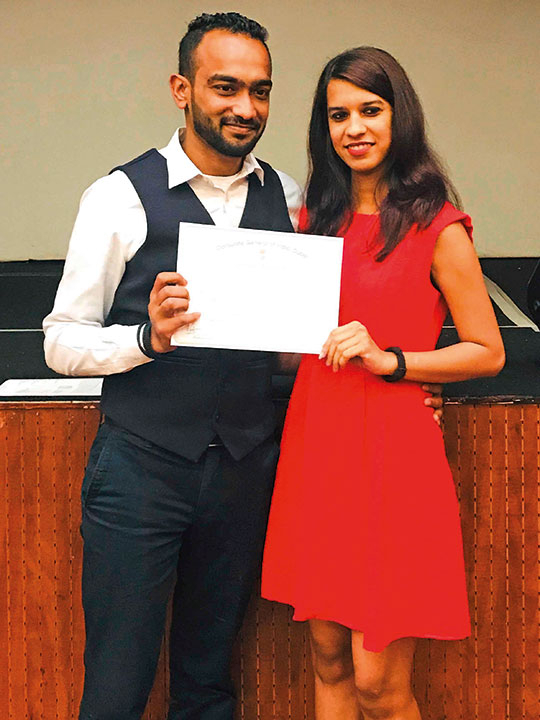 For registering their weddings at the Indian mission, both the bride and groom have to be UAE residents and at least one of them should be an Indian citizen. Many other diplomatic missions here solemnise weddings between individuals of their nationality only. While solemnising their wedding in the presence of the Marriage Officer and his assistant at the consulate, what mattered the most to the Desmond-Pacita couple was not the celebration, but the legalisation of their relationship. Hailing from two different countries and seeking conjugal bliss, the easiest option before them for was to solemnise their wedding at the Indian mission. “This was the easy and simple procedure to get married. So we chose this,” the groom told Gulf News. And for the bride, it was the most thankful moment after a long wait. “It has been a long, long, long time that I have been waiting for this. I am just thankful,” she said with eyes welling up with tears of joy. Friends of Desmond, from Mangalore in the south Indian state of Karnataka, and the family of Pacita’s sister, from Leyte in the Philippines were present as witnesses. Neeraj Agrawal, head of chancery and consul (Press, Information and Culture) said a grade one officer of the government of India is usually appointed as a Marriage Officer at Indian missions. Indians, who have held their wedding functions at places of worships, also visit the mission to register their marriage. We found the process is easier here in Dubai. If you have to do it back home, you have to stay there for 30 days. So, it made sense to do it over here. That is what Prabhjeet Singh and Harsimranjit Kaur, who tied the knot at the Sikh Gurudwara in Dubai earlier in December, did. However, Mohit P. Jivani and Richa H. Pahoja, who have planned a wedding in Thailand, decided to register the marriage before the grand function. “We found the process is easier here in Dubai. If you have to do it back home, you have to stay there for 30 days. So, it made sense to do it over here,” said Richa, an interior designer. Submitting the documents, taking the oath and providing the signatures are the only “rituals” of weddings taking place — on Thursdays — at the mission. Taking an oath in front of the Marriage Officer is not mandatory for couples who are already married and just seeking the registration of their marriage, said Jitendra Negi, the new Marriage Officer and consul for labour and consular.